JLC - SIHH 2019 Countdown: Day -3: Jaeger Lecoultre Reverso Tribute Small Seconds Blue. 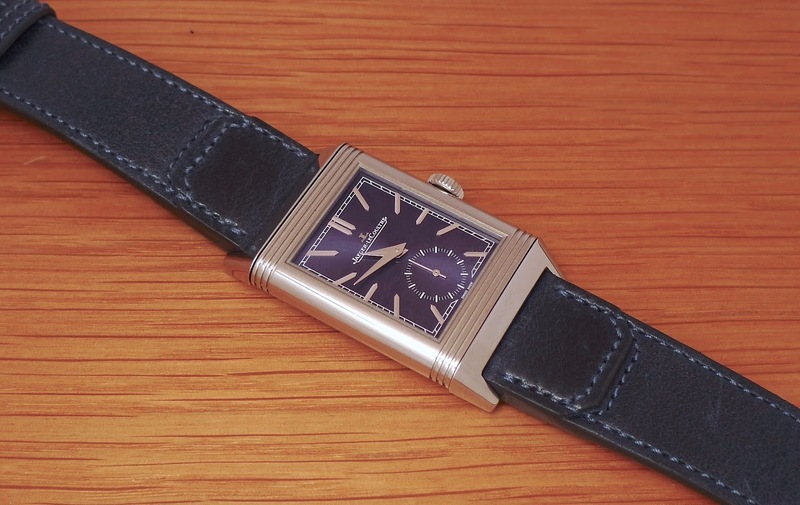 SIHH 2019 Countdown: Day -3: Jaeger Lecoultre Reverso Tribute Small Seconds Blue. From the 2018 collection, this Reverso Tribute Small Seconds is certainly one of the most popular and favorite. I saw it again, three weeks ago, at the Manufacture, and fell, once again, under its magic spell. The only problem I have it that its blue dial is impossible to capture in picture. Once again, it turns purple. I will try to play with the white balance of my camera next time. 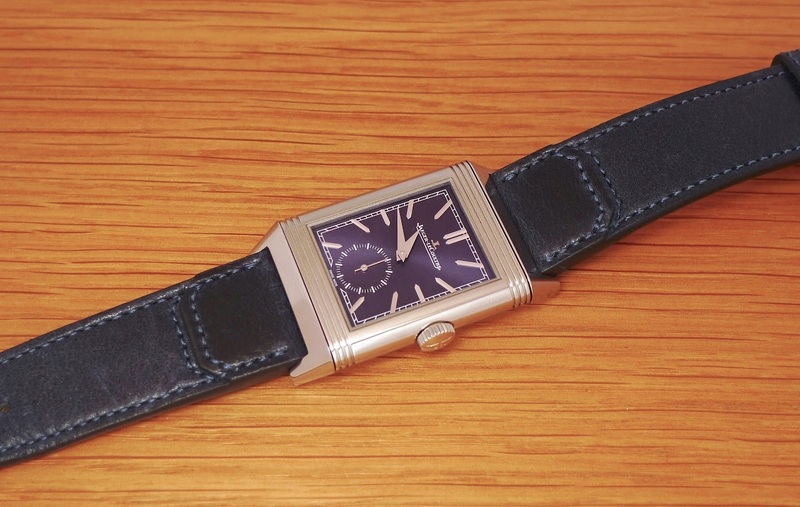 For the rest, this watch is a pure jewel, and I wonder if we'll have another Reverso as charming as this one. The blue dial colour is influenced by the environment that you you are in at the time. In the evening it looks deep purple in the daylight it looks silky blue. Why did they apply jlc logo? ‘Reverso’ print seems more true to its heritage. Depends, you also had Jaeger Lecoultre on a Reverso dial since 1937.